'Employees' but why Christ & Partners? To know who is working for you is very important for any employer. Christ & Partners has a lot to offer in this field: before you hire someone, we can perform a background check and a pre-employment check. Or maybe you are dissatisfied with your employee, because you wonder whether or not the absence through illness is justified. Even after an administrative burden of dismissal, there can be situation in which you would like to call upon Christ & Partners. If a solid non-comemployeespetition covenant gives you the right to a compensation for damages, Christ & Partners will make sure that you will get all the evidence you need. 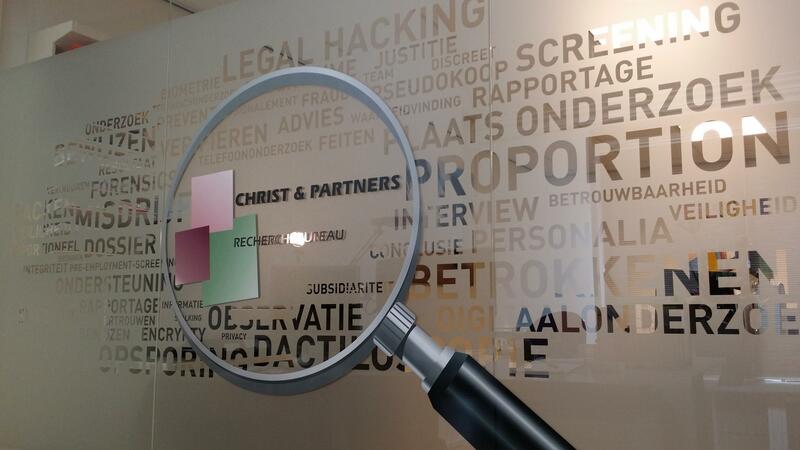 In attracting new employees, not only the required competences are important, but there is also an increasing demand for screening candidates on integrity. Internal crimes and violation of integrity are indeed real risks. The same goes for internal transfers and installing someone new in an integrity sensitive function. Christ & Partners offers pre-employment screenings in five different ways. More information about our pre employment screening. More and more companies and organisations start to pre-screen new employees and to provisionally screen people in ‘sensitive’ jobs to prevent internal crimes and violation of integrity within the organisation. Preventing hiring unwanted candidates is more attractive than signalling and battling incidents, after someone has been hired. In the financial sector, it is even mandatory to perform a screening for (new) employees in integrity sensitive jobs. The Christ & Partners Integrity check tests the integrity of a person in only 30 minutes. The computer program requires the candidate to answer the questions, and the computer will immediately show if the person you tested is upright or not. If you ask Christ & Partners to do an integrity check before hiring someone, you will know your candidate much better. This will save you time and money. Filling vacancies for responsible jobs requires special attention. Because of the importance of the jobs, the risks are larger. It is known that candidates often send in CV’s that do not paint a true picture of the candidate. Recent research has shown that out of all CV’s, 25% are just untrue or obviously made to look better. As a result of this, it may be possible that the new staff member does not meet the requirements and possible has a background and mentality that neither fits the company culture, nor the responsible job. Intertrace Investigations checks the CV completely and will check a number of issues structurally and thoroughly, for example through a referee check. We will not only look at the previously held jobs, but we will also check and test the reasons for leaving, factual results, the competences, and special skills of the candidate. Everything needs to fit into the job profile of the company. During application procedures, we offer our clients the possibility to get an objective insight into the employment history of a candidate. We do this for example by checking sources of information personally – e.g. superiors and co-workers at previous employers of the candidate. Amongst other things, this will show if the candidate has presented his capacities too positively. Why did the candidate leave his previous employer? The reason for leaving a previous employer is an important aspect of evaluating a candidate. This is particularly true, if the reason given by the former employer does not correspond with the reason given by the candidate. Besides, discovered strengths and weaknesses can be compared with the job requirements. Even an accurate verification of the education of the candidate is part of our job. Is this the person you thought you had found? After research and reporting the pre-employment screening, you can be surer if the candidate is actually the person you thought you had found. The pre-employment screening is executed in an open way, and will be discussed with the candidate. In that case the candidate needs to sign permission for the screening. You are looking for the right man for the right job in your company. The candidate has the right education, he has been trained sufficiently, and his experience in the branch is up to par. During the job interviews, important characteristics were shown. But is he or she actually the person you thought he or she is? We will check for example the job history, morality, reliability, and financial attitude. Via relations or other sources, you find out that your salesperson does not adhere to the conditions. To start a civil procedure, you need evidence. By means of observation, test purchases, and pseudo conversations with the salesperson, if necessary with pictures, Christ & Partners provides you with the evidence you need to start a procedure, get compensation and demand a stop to further activities. You are not satisfied with the performance of your travelling sales force. The records do not match the actual results, the turnover is disappointing (representative) or you receive complaints about the results. Christ & Partners can use an (observation) investigation and follow the particular person, to determine whether or not this person is not doing what he or she should do. You suspect that one of your employees that called in sick is working somewhere else. Or you hear that the ‘ill’ person is playing tennis. Besides the fact that you are paying salary for that person, the work pressure for all other employees also increases. This can lead to unnecessary irritation and tension. By means of observation and tracking a particular person, Christ & Partners determines whether or not this person has been active during the absence through illness. These observations will be reported, if possible supported with pictures. This evidence can be used in case of an administrative burden of dismissal.